By: Harville Hendrix Ph.D., Helen LaKelly Hunt Ph.D.
Narrated by: Harville Hendrix Ph.D., Helen LaKelly Hunt Ph.D.
With Finding and Keeping Love, this world-renowned relationship therapist brings you the most important practices and insights from Imago therapy distilled from more than three decades of working with singles, couples, and parents. Whether you’re still looking for that special person or you’re already in a committed relationship, here is a program to help you better understand yourself, your partner, and the vital ingredients for deep and lasting love. Every one should read, practice this in life. 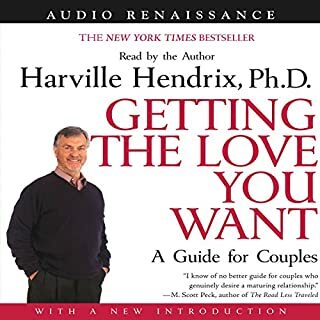 Dr. Harville Hendrix presents the relationship skills that have already helped hundreds of thousands of couples to replace confrontation and criticism with a healing process of mutual growth and support. This extraordinarily practical guide describes the revolutionary technique of IMAGO Relationship Therapy, which combines a number of disciplines to create a program to resolve conflict and renew communication and passion. Welcome to the relationship revolution! Making Marriage Simple is the accessible, essential road map to building a strong marriage in the modern world. 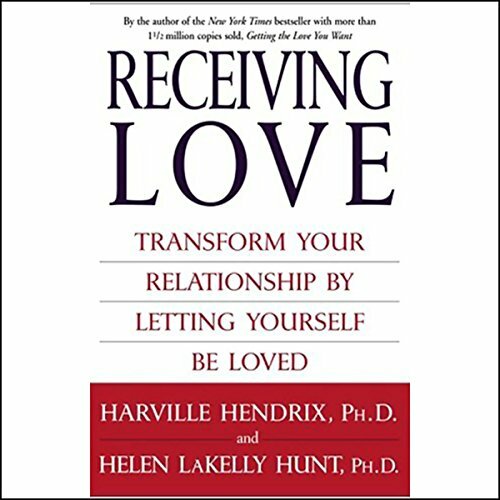 Best-selling authors Harville Hendrix and Helen LaKelly Hunt distill into 10 essential truths what they've learned about how to create a successful and satisfying relationship - both from their decades of "R&D" in the marriage lab of their workshops, and from their own relationship journey. Nearly all of us have an ideal of what a "dream" relationship would be, but very few of us are living in one. Three decades of research and clinical practice have led Harville Hendrix to pinpoint four essential "non-negotiable" keys to creating and sustaining a healthy, loving relationship. In this workshop, he will help couples: understand what prevents them from achieving the type of relationship they aspire to; discover how to cultivate those habits that can create the conditions that permit such a relationship to blossom; and practice the Imago Dialogue, a three-step process that offers us a highly effective tool to transform our dream about our relationship into reality. 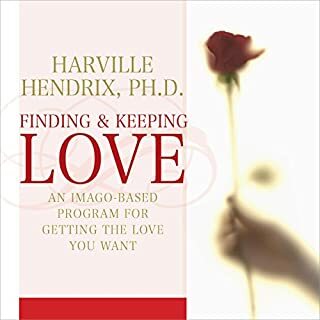 Harville Hendrix has illuminated the paths to healthy, loving relationships in his New York Times best sellers Getting the Love You Want and Keeping the Love You Find. Now, he and his coauthor and wife, Helen Hunt, bring us to a new understanding of the most profound love of all -- by helping parents nurture their own development as they encourage emotional wholeness in their children. 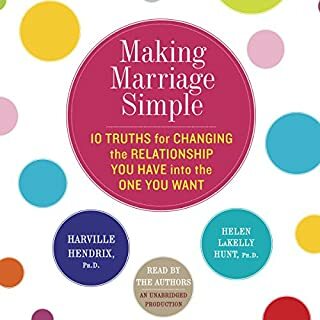 On Marriage as a Path to Wholeness, Harville Hendrix - world-renowned relationship expert and cocreator of Imago Therapy - unravels the complexity of this question and invites us to discover how to enjoy marriage at a whole different level. Join him to explore: how parental images mirrored in the unconscious mind trap us into recreating parent-child conflicts; the mystery of why we are attracted to certain partners, though they lead to destructive relationships; practical exercises; and more. Narrated by: Helen LaKelly Hunt Ph.D. 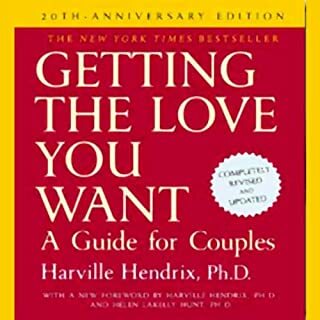 In 1988, Harville Hendrix in partnership with his wife, Helen LaKelly Hunt, published a terrifically successful relationship guide, Getting the Love You Want. The book introduced thousands to their Imago Relationship Therapy, a unique healing process for couples, prospective couples, and parents. Doctors Hendrix and Hunt managed to aid scores of couples in their pursuit of more loving, supportive, and deeply satisfying relationships. 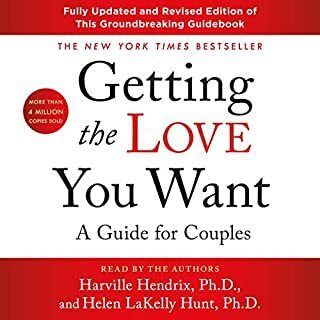 This groundbreaking audiobook from the best-selling authors of Getting the Love You Want and co-authors of Giving the Love that Heals is the first to address the biggest unexplored issue facing couples today: Most of us are better at giving love than accepting it. 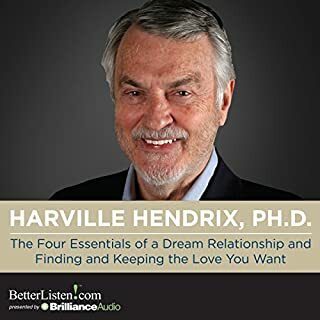 In this audiobook, Harville Hendrix and Helen LaKelly Hunt, co-creators of Imago Relationship Therapy, offer a definitive guide to breaking the shackles of self-rejection and embracing the love our partners offer. Receiving Love is a very personal audiobook for Drs. Hendrix and Hunt, and much of their own journey is the inspiration for it. Drawing on their renowned expertise, the wide clinical experience of hundreds of Imago therapists, and their own personal experience, the authors are able to offer detailed guidance on how to conquer the problems that come from self-rejection and embrace the gifts that are abundant in every person's life, if only we knew how to accept them. With its groundbreaking theory, challenging processes, and inspiring examples, this audiobook holds the key to loving relationships that last. ©2004 Harville Hendrix and Helen LaKelly Hunt (P)2004 Simon & Schuster Inc. SOUND IDEAS is an imprint of Simon & Schuster Audio Division, Simon & Schuster Inc.
Food for those in the world starving. This is book is what I've needed in my life, more than any other. Listening to the authors read it made me realize I've been starving for good food for a long, long time. I have never allowed beautiful women to love me, even tho they have tried over and over. My parents were at times very critical of me, and I didn't understand why, other than to believe I wasn't good enough to be loved by anyone. The world was at times very critical of me, for being a man, a white man, a college graduate, a physics graduate, an ethical man, an unemployed man, an old man, a fat man, a man with PTSD from my military service. I felt no one could possibly love me. And, I struck back. I hated others for having so little understanding and kindness in their intelligence. I needed to read this book to put the pieces of my life together. The author talk of how a relationship is a place where you find healing from your past [childhood]. Very interesting points and some things were enlightening, however the authors only cover part of the realm of topics that make for a good relationship and I'm not convinced that they truly spelled out how to "Receive Love". Worth a listen however. The most important book for your family. The IMAGO dialogue will save your family. Compassion, and understanding are the important messages but the dialogue to achieve this is the life and blood of this relationship saving journey. Well, everyone has an opinion. I listened to the whole book, even though my indications hinted at misguided theology and theory. It's a little bit of a force-this-down-your-throst type of approach at various points in the book. The authors claim that if I, the reader, didn't accept the validity of their claims, it is evidence that I'm subconsciously resistant and unwilling to change. An argument such as that is indicative of potentially unhealthy logic. I see it as dangerous as it could cause someone to inaccurately apply concepts to their life, causing more damage than good. I gathered some useful information from their theory, but I recognize that they are viewing the world through their own unique grid, as we all do. Some of their expressed perspectives were limited in scope and understanding; trusting a horoscope to reveal insight into ones own marriage is too infantile in my opinion.